Let your inner demons out! Halloween is a night to dress up for trick or treat, costume parties, and other phantasmagorical fun, and this Costume Kids Invitation lets all your favorite little imps know the time and place to gather in their ghastly disguises with whimsical imagery and a funky color scheme on this template. 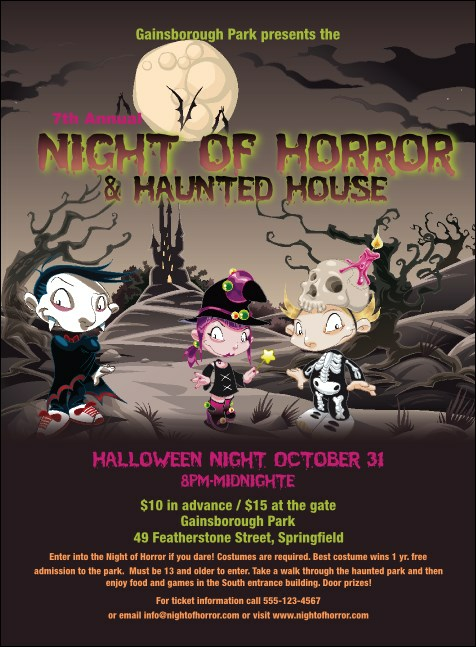 Gather the spirits of the night with the right Invitation from TicketPrinting.com.